Are you tired of that huge, clunky, horsepower-stealing A5 or A6 compressor sitting on your engine and stealing its thunder? You're not alone. 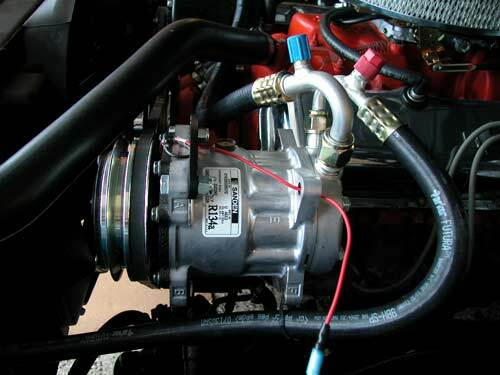 Our Sanden-style compressor conversion kits will not only help you save on horsepower, give you better fuel economy and performance, operate at a continuous duty rating of 6,000 RPM and save half the weight of the stock compressor, but they’ll look cool and keep you cool in the process as well! It's also a great way to start in converting your air conditioning system from R12 to 134a! More on Converting to 134a! Why Upgrade Your GM A/C Compressor? High horsepower engines? No problem! Sanden-style’s high efficiency compressors have a continuous duty rating of 6,000 rpm and require an insignificant amount of power to turn. Stock compressors can handle much less RPM. Build up your engine and rev it up to leave someone in the dust and your stock compressor could lock up. 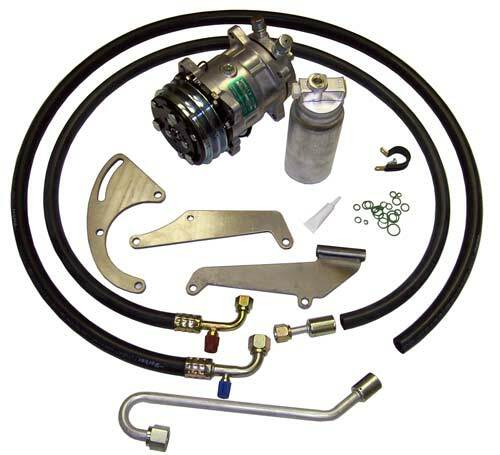 134a Conversion Kits are identical to the R12 Kit except supplied with a 134a compressor and proper hose fittings for system charging. 134a removes a higher heat load from the interior, so it is extremely important for the fan clutch and condenser to be in excellent condition on any 134a conversion. More on Converting to 134a! If you drive your GM daily, then our extremely popular Sanden-style conversion is a must have option for your factory A/C system. Excellent attention to detail makes for a very attractive under-hood appearance and an easy installation. Call or email us to find out how to upgrade your compressor! Most Chevy engines with long water pump & driver’s side mounted compressor also require 2 grooves on the power steering pulley.